There’s a whirlwind of babies being born this spring and I love it. With my littlest baby now a year and a half old, I enjoy having a few hours to hold and love on these sweet little bundles. Admittedly, I spend a lot of time looking in awe at my computer screen admiring how beautiful these little humans are. 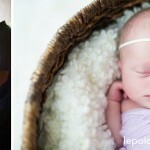 I especially love the intimate portraits with mom and dad so affectionate and gentle with their new baby. On a behind the scene’s peek, these sweet angles are a lot of work! There is a lot going on to create these portraits that no one realizes until they are caught up in the middle of a newborn session with me! We have the temperature cranked up and everyone is sweating except for these cute bundles… peacefully sleeping all snuggled in and cozy in their blanket. 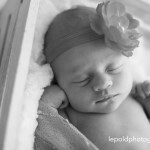 Lots of rocking, white noise and patience is behind each portrait. 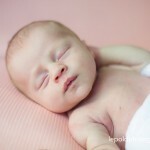 Belly full, hands nestled into place and the light glowing off their skin it is a group effort capturing newborn portraits. It’s so funny to see each little baby’s personality come through when I am trying to pose them. They have their own ideas about what poses they want to do and which direction you can cross their ankles. The have been all scrunched up in mommies belly for 9 months and they are quite comfortable doing things there way! 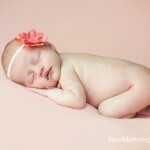 Little Savannah is such a pretty baby. 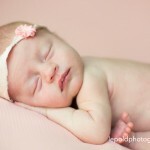 She was 10 days old for her newborn session and so peaceful while she slept. 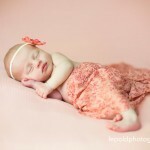 There were a few moments of surprise when she didn’t want to do a pose I had put her in and pooped on the set. 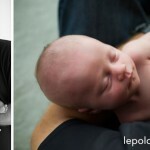 Later in the session, while daddy was changing her diaper, she pooped all over his shirt … so I didn’t feel singled out! ( Note to future parents… do not change your newborn’s diaper on your lap! Especially when you are about to have your picture taken! ) It was a fun morning and the pictures are simply beautiful. I hope you enjoy them.